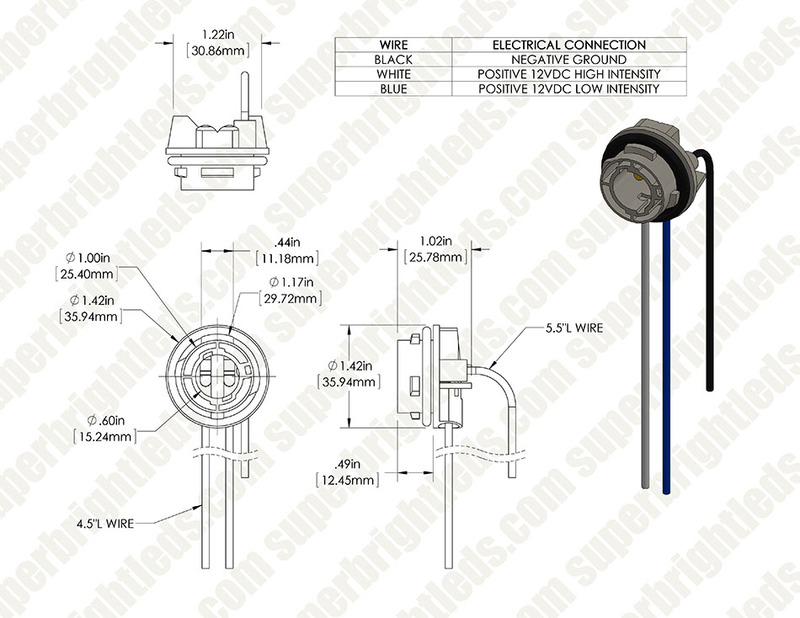 Replacement BA15 sockets accept 15-mm bayonet base bulbs. 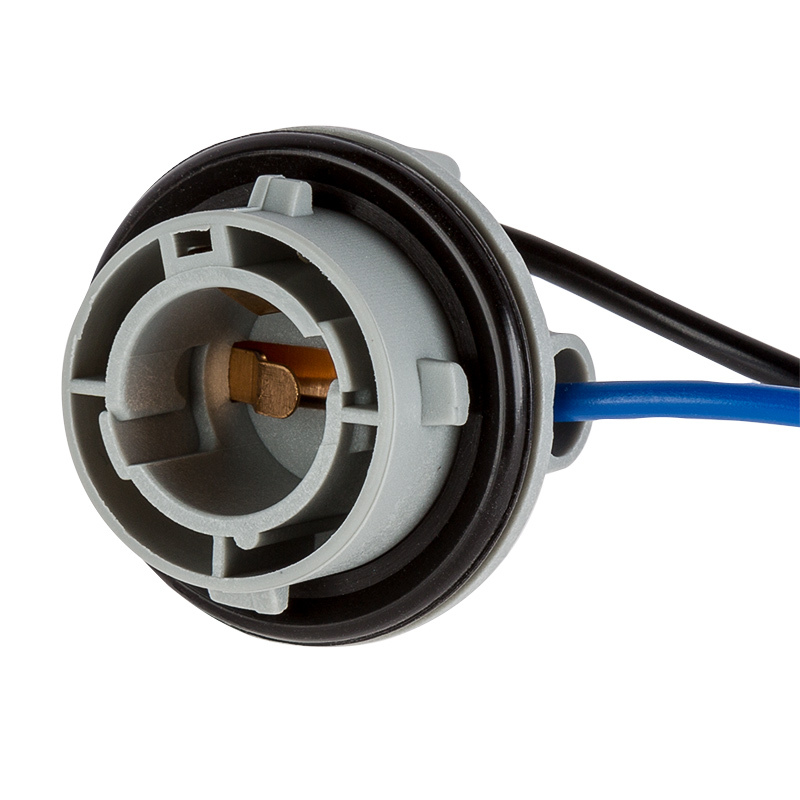 Socket fits single-contact (BA15S) 1156 bulbs or dual-contact dual-filament (BAY15D) 1157 bulbs. 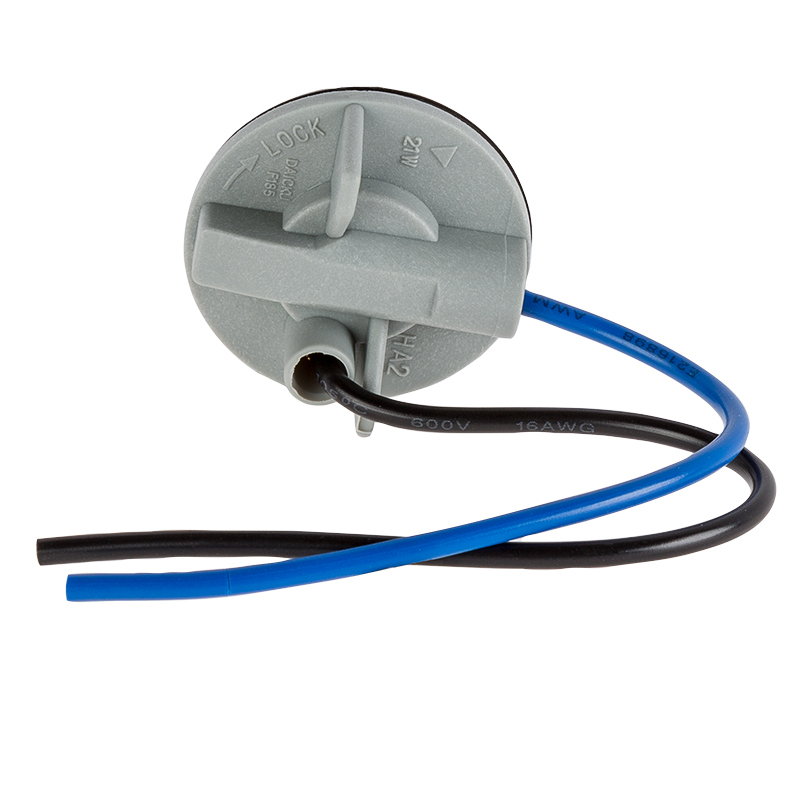 Durable construction with 4-1/2” power wires. Price per socket. The website makes it difficult to get the correct bulb base. SBL shipped the 1157 instead of the 1156 base, but, were quick to correct the problem when brought to their attention. This base has worked well on several ATV/UTV street legal conversions where there is space in the existing taillight for an additional bulb. It takes some custom drilling and notching but the results have been great. Overall, built well enough to work consistently. The terminals inside the socket could be fixed better (specifically the white running lamp wire on both sockets I ordered), but otherwise, it's of decent quality. Some work when it got here made it better, but it did the job. Great little Socket - Ground wire is super as these are being used on a wooden replica of a 1901 Oldsmobile. Wire entry is not sealed! 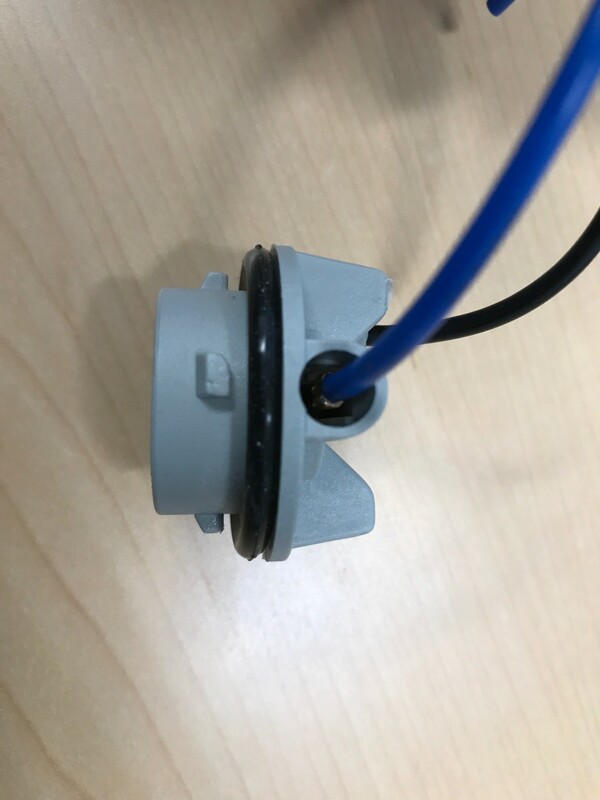 There are no seals around the wires, where enter the back of these connectors, as one would generally expect to see with this type of product. 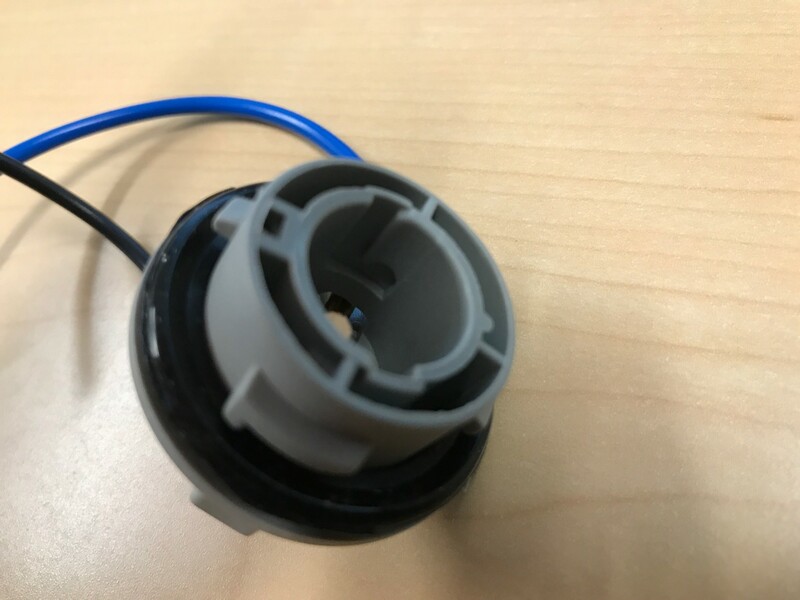 There is the main seal for the interface between the connector and the housing it gets installed into, but this seal is useless in actually making this a sealed connector without seals around the wires. I purchased two of these and they were both the same. This socket may fit your application, but be aware that it won't be completely sealed. These sockets are designed to be used in weather shielded locations.